O3 Labs announced an update of it’s mobile wallet that will allow users to trade NEO, GAS and NEP-5 tokens on the Switcheo Exchange directly through the application. It also includes an updated UI with a robot assistant and more useful marketplace features. The O3 wallet was NEO’s first available mobile wallet, and is available on iOS and Android. Trading functionality is enabled through O3’s new dApp browser, which allows web apps to send requests for transaction signatures to the user device, to be handled by the O3 app. 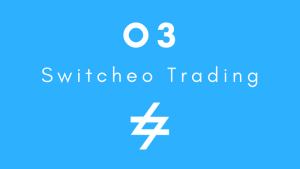 Switcheo Exchange is the first dApp to utilise the O3 dApp browser, allowing users to trade directly from their O3 wallet in a decentralized manner. Users will be able to navigate to the marketplace, select “Trade now on Switcheo” and then login to the exchange with the “Connect to O3 Wallet” button to begin trading. Switcheo currently lists 22 NEP-5 tokens and it recently launched its V2 exchange featuring trading APIs, a user interface upgrade for compatiblity with mobile devices, and instant trade confirmations. 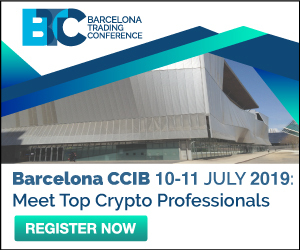 It aims to become the first cross chain decentralized exchange and plans to support QTUM, Ethereum, and potentially Zilliqa and EOS tokens in the future. O3 Labs has recently made various other product upgrades, such as support of the Ontology MainNet, verified addresses, and implementation of NEP-9 functionality to enable QR codes and payments. O3 has also held exclusive airdrops for wallet users, partnering with NKN, Alchemint and FTW to distribute tokens.